In the federal election next year, there will be a lot of advertisements telling people to “Vote #1” for any number of candidates. But together, we are going to make climate change the #1 issue of the election. The call to action around the country will be to Vote #1.5. We will vote for action on climate change. 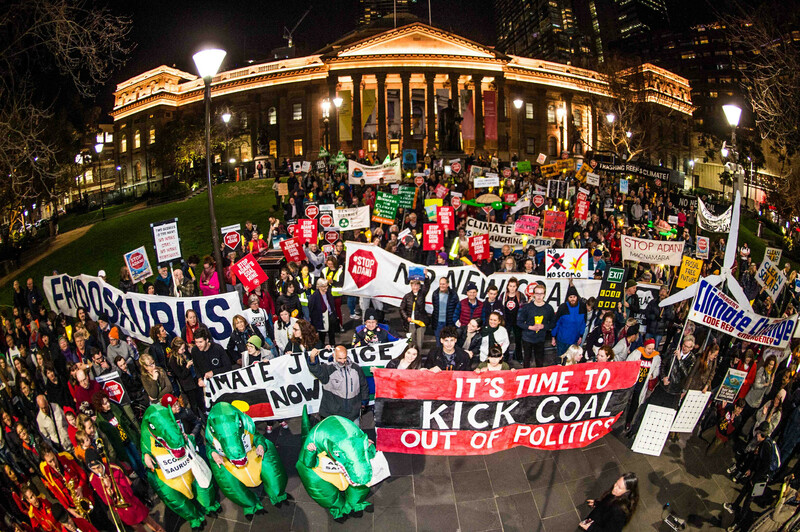 We will vote to stop new fossil fuel projects, like the Adani mega mine. And we will vote to keep global warming under 1.5°C. In May 2019, the federal election will determine who will next lead Australia and make decisions for our climate future. We want leadership that will support a fast and fair transition to 100% renewable energy and an immediate end to new fossil fuel projects. Candidates all across the country need to feel the heat this election, not just those in marginal seats. And the politicians who will listen to your voice the most, are those wanting to represent your electorate. That’s why we need people in electorates all around the country to be talking to their candidates about the implications of 1.5 degrees of warming. We need to be keeping the pressure on candidates every month, every week, every day in the lead up to May 2019. We need you to step forward and lead community action in this election so we can pave the way to a safer climate. We have planned the most strategic pathway for you to get there and created all the resources for you to run your own federal election campaign. Sign up now and we’ll be with you every step of the way. So join your voice with the millions of Australians who also want to create a greener future, so we can make climate change the number one issue in this federal election.